UFO Caught on Video in Whistable? ANOTHER video of unexplained lights in the sky has appeared on YouTube. 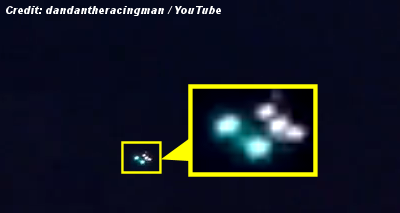 A few days after one user uploaded footage of lights seen from Herne Bay - with commentary insisting they were aliens - a second video from a different location has been published. . . .
Just another drone a friend has launched for a few minutes of ( fame ? ) .